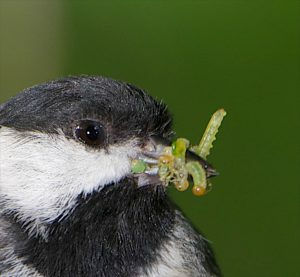 In essence, although neonics are effective against a variety of insect pests, they also kill non-target insects such as pollinators, and can have an equally unhealthy indirect effect on birds, bats and other insect-eating wildlife in the chain of life. 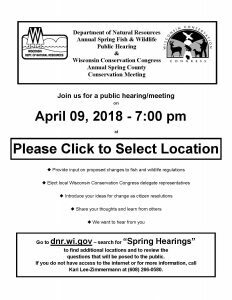 The hearings will be held in each county of Wisconsin on April 9, 2018 at 7:00PM. Everyone attending has a chance to speak on behalf of any of the questions — pro or con. 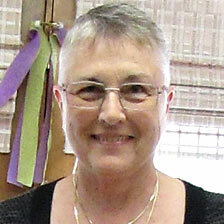 Everyone attending has the opportunity to cast their vote — yes or no — on each question. These citizen advisory ballots are then presented to the Natural Resources Board (NRB) and the Department of Natural Resources (DNR). Please send your comments to the WDNR. Let’s get the use of neonics under control here in Wisconsin. Thank you Diane Hilscher for bringing this very important question for the spring hearings to my attention.